“The Responsive Leader by Erik Korsvik Østergaard is a well written and informative text. It is written in a way that makes for easy consumption and provides a great range of insights from which businesses and organizations of all levels will be able to glean many helpful tips, as Østergaard busts myths that may hold industry back and limit growth. It’s certainly a book that will open many readers’ eyes. In an exhaustive text, Østergaard leaves no stone unturned with The Responsive Leader as he seeks to encourage business owners to remain relevant to their employees and customers. He also provides a great resource for those looking to take their business to extraordinary heights. A modern world with rapid changes and an emerging digitalisation requires – and paves the way for – a new approach to leadership and organisational design. 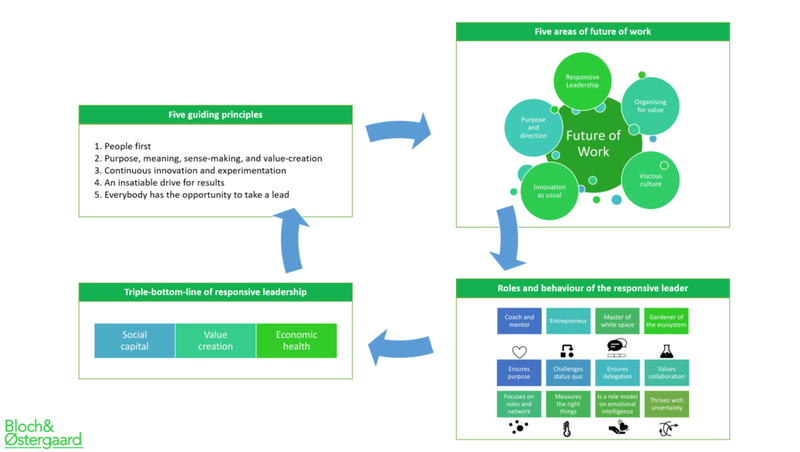 The technological and societal megatrends affect the market, the organisations, and the expectations from employees and customers, and several new leadership frameworks have been born. The Responsive Leader that masters this paradigm shift will gravitate towards the new paradigm, but will also know how to mix-and-dose the old and new worlds in a responsive way. The Responsive Leader shapes the modern workplace; a workplace where people want to show up for work.